I popped into Pat Catan's on my way home this afternoon because I was hoping to pick up a set of US size 1 double pointed knitting needles. They didn't have them. They did, however, have a cool looking set of pom pom makers on sale for $2. I was extra enticed because I had recently been reading about Erica's adventures with pom poms over on her blog. I know I could easily make pom poms with 2 pieces of free cardboard, but this seemed like an opportunity to have way more than 2 bucks worth of fun. I bought the set. The instructions were pretty straightforward but I'd be lying if I said my first attempt didn't end up as a useless pile of 3" pieces of yarn. Oops. I only had one failed attempt, though, and then it was smooth sailing. 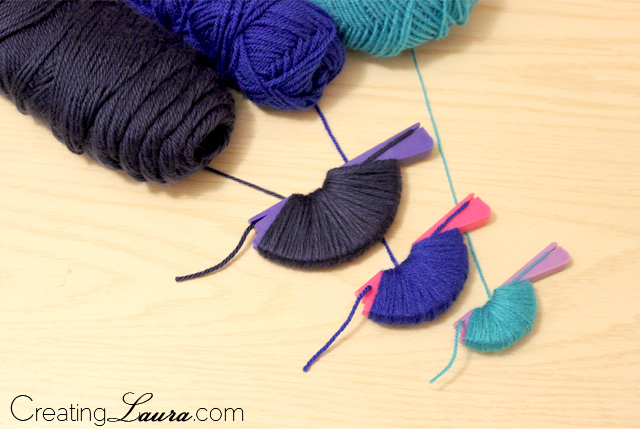 I'm super excited about using some pom poms in a knitting project now! I'm not sure what that project will be, but I'm sure I'll think of something. Do you have any suggestions? Happy (unofficial) pom pom day! 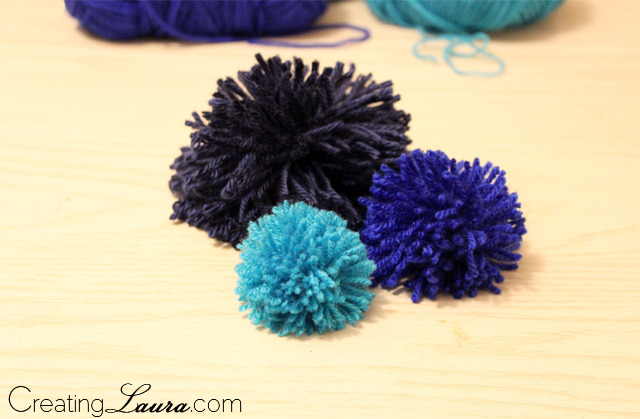 I need to get some pom pom makers! I've just been using the cardboard method for the past couple years... about time I invest! $2, why not buy it ?! Now, you're a pom pom lover too! They can be so fun! I've used the cardboard method too but it's just not as neat as the "offical" way with these makers. Just bought a set from Etsy and it's totally worth it. 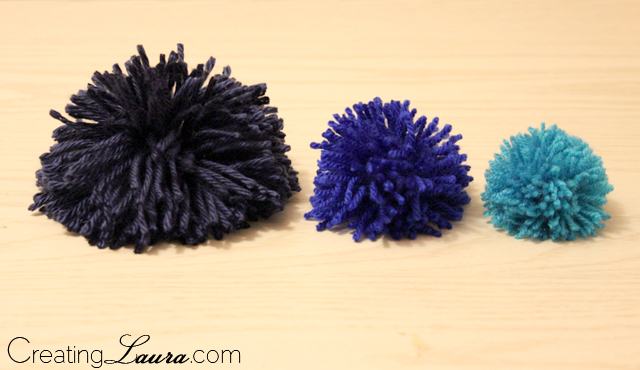 I really want to try to do a pom pom banner tutorial for the blog! :) Or just use them as packing material for sending surprises? Perhaps tie them to your skates. Doesn't everyone have pom poms on their skates? I love making pom poms! So easy to make and so fun. Love the colors you used as well!